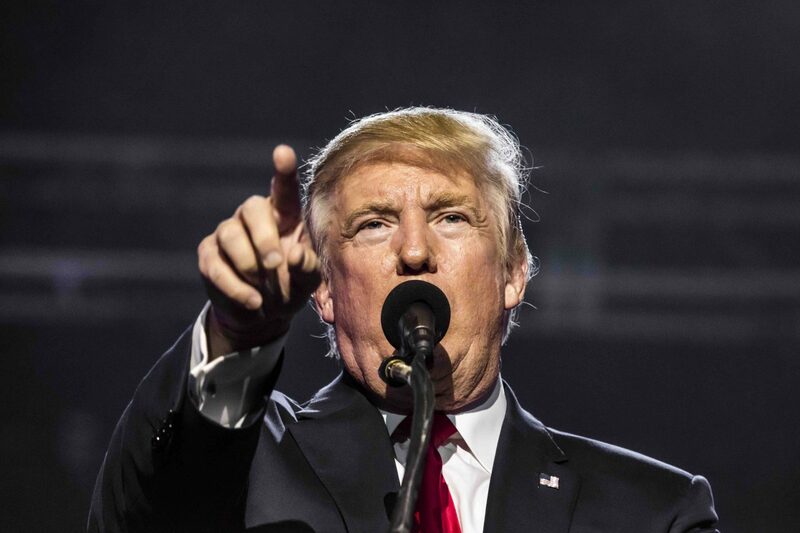 Trumping the IRS: Could the Timing Be Right for Bitcoin Tax Reform? With the president and the Republican Party’s sights set on tax reform as a way to send a strong message to voters ahead of the 2018 term elections, it’s potentially a good time for a bill easing the tax reporting requirements for cryptocurrency to be included in a final package. Since the Internal Revenue Service’s (IRS) 2014 decision that cryptocurrencies should be treated for tax purposes as property, the agency has been met with criticism for not adequately instructing consumers on how to report based on this conclusion. And the Cryptocurrency Fairness in Taxation Act (CFTA), introduced earlier this month, aims to push the IRS into doing just that. “The bill is kind of a reaction to the 2014 IRS decision that classified cryptocurrencies as property, and that means they’re subject to capital gains tax,” said Eve Lieberman, chief of staff to Representative Jared Polis, who with David Schweikert, introduced the bill. By aspiring to make cryptocurrency transactions under $600 exempt from IRS reporting requirements, the bill would also require the IRS to provide additional guidance to customers on how they should report transactions above that threshold. Speaking at a recent workshop on cryptocurrency taxation in Washington D.C., Lieberman said members of the Blockchain Caucus, which Polis and Schweikert co-chair, are strategically introducing the bill to the House of Representative’s Ways and Means Committee (responsible for taxation matters) before the drafting of tax reform starts rolling. By getting the bill in front of Congress soon, the caucus believes they’ll be able to get the bill into the president’s final tax reform proposal. For the Blockchain Caucus, the bill is a way to pressure the IRS into giving lawful, well-meaning cryptocurrency users the necessary tools to fulfill their tax reporting obligations. And there are big challenges to this today. Case and point is the fact that only 802 Coinbase users reported capital gains from bitcoin on their 2016 taxes, a figured disclosed by the IRS in legal filings related to its “John Doe” summons of the exchange’s user information. Jonathan Johnson, chairman of Overstock – which accepts payments in more than 50 different cryptocurrencies – said a chief reason for this is that compliance with the existing IRS guidance is extremely difficult, if not impossible, for most bitcoin users and businesses. “Overstock is able to do it because we have scores of people on our finance team. Some people are charged with knowing the price of each bitcoin when it came in, how long we hold it and the price when we use it. That’s complicated,” Johnson said, during the workshop. Further, Johnson suggested the IRS’s decision to treat bitcoin as property has not only reduced its utility as a payment system, but also has inflated its value as a speculative instrument. In its defense, the IRS has stated it has not had sufficient resources to devote toward clarifying its cryptocurrency reporting guidelines. However, Amy Kim, global policy director and general council at the Chamber of Digital Commerce, suggested the John Doe summons of Coinbase user information sends a different message. “The IRS didn’t have the resources to apply to additional guidance, however, they clearly have resources to battle away on the enforcement side and in court,” she said. While there are no guarantees the CFTA will make it into the final tax reform bill, having cryptocurrency taxation language drafted and on the discussion table is significant, particularly since Schweikert serves on the Ways and Means Committee. Equally encouraging, the bill has not drawn any outcry from the more Luddite members of Congress. “Usually when you introduce legislation you want to line up supporters and make sure you know the risks and benefits before introducing some legislation. There haven’t been any opponents to this legislation, and it’s gotten a lot of recognition, so I think that speaks for itself,” Lieberman explained. And as President Trump and other Republicans look to change voter opinions about their lack of success so far, Grover Norquist, president of non-profit Americans for Tax Reform, said Republicans will look to develop a tax package that’s much stronger and more sweeping then would be otherwise necessary. And as the cryptocurrency community continues to grow, reform in this area could be an advantageous target for politicians looking to secure more votes. Democrats could also be in support of the bill, even though they’ve to date stonewalled most of the president’s legislative priorities, since the party doesn’t want to appear like they’re opposed cutting taxes. Jonathan Williams, vice president and chief economist at the American Legislative Exchange Council, contends the tax reform bill will be finalized and signed into law by the year’s end, which puts significant pressure on the Blockchain Caucus to get the CFTA in front on Congress member’s eyes sooner than later. While Lieberman isn’t as optimistic that tax reform will be a slam dunk, she hinted at other channels available by which CFTA could advance. For instance, one common means is the so-called “omnibus spending bill,” which joins together smaller, regular appropriations bills into a single package, and is generally passed each year in December before Congress adjourns for the Christmas season. While this commonly used way to attach and ultimately pass into law unrelated pieces of legislation – known as “policy riders” – is not without controversy, in this instance, it could prove a critical conduit for advancing the wider adoption of cryptocurrencies.